I thought I'd share a pen I've been using for several months. I love it and use it as my day to day PFM (I could use a different one every day of the month from my PFM collection!). I realised I had a few spare bits from various repairs and projects that didn't conclude well, and so I thought I'd make my own "Harlequin" PFM! I'm sure I'm not the fist to do this, but, hey-ho I like it and thought I'd share. 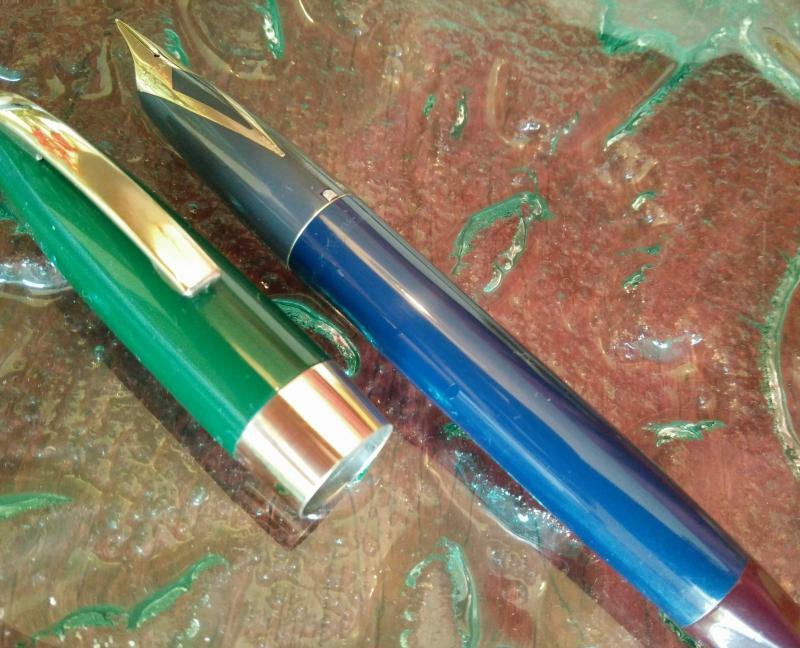 Green III cap, grey/gold nib section, blue barrel & burgundy tassie! It's definitely a Harlequin. As long as it writes, then it's OK.
Nice work. I like way the blue and the burgundy sit together. I am proud of you for taking the initiative to combine these parts & salute your finished product! I have a few P51s with different color hoods as the tips of their own original color hoods were broken and fallen off. I love them all. Your PFM is lovely. As long as the innards are original the outer attire do not make any difference. At least for me. Edited by mitto, 05 September 2017 - 09:18. I... actually like that better than any of the standard PFM models. I'm going to make one of my own now.